A real-world case study on how a large SaaS provider is implementing security for their kubernetes based environments. 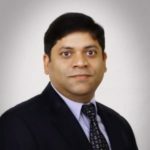 About Amit Gupta: Product Management leader with 18+ years of professional history developing, positioning and marketing software and services for Enterprises and Service Providers across the world. 10+ years of industry experience in enterprise infrastructure and data center solutions. 14+ years of background in application and infrastructure hosting and cloud services. Professional experience in both entrepreneurial and large corporate environments, driving strategy and tactical execution. Well versed with various Public / Private / Hybrid Cloud service consumption models. Time: 7:00 to 9:00 PM Please arrive by 6:55. We will be meeting in Building A in room 1020., 6001 Bollinger Canyon Rd, San Ramon, CA 94583. Park in the visitor parking lot and proceed to BLDG A.